Nick Sims takes roofing seriously and has dedicated decades to improving the industry that he’s helped to shape. Since cutting his teeth as a young roofer in 1973 during the Texas building boom, he has become something of a pioneer. “I didn’t know what I was doing at first but I learned. 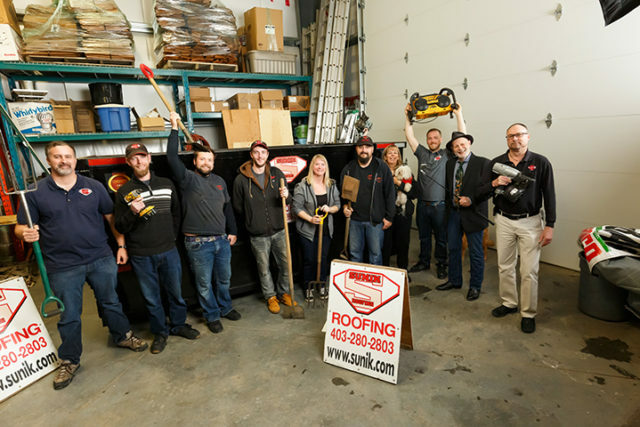 In a couple short years, I went from having seven guys on a roof doing a house a week to two crews of us doing three or four a week,” says Nick Sims, president of Sunik Roofing. He picked up tricks that made his crews more efficient and profitable, and he was one of the first to introduce staple guns and later nail guns. He developed a new system for quickly shingling a roof that involved the steady passing of shingles that were lined up and nailed down as the next shingle was en route. This cut down the time it took to shingle a house and established Sims and his crew as the pinnacle in the industry. When Sims and his family moved back to Canada in 1986, he wasn’t sure how he was going to make his living. He soon heard the call of roofing and he answered it in 1987. He established Sunik Roofing (a combination of his and wife Sue’s names) in 1989, first as a proprietorship and then as a limited company. He was one of the first to introduce the Calgary marketplace to power crews, which allowed him to complete three houses a day with the help of power tools. The key was to surround himself with good people and work hard to build his brand. And in the 30 years that Sunik has been operating, it has grown to become the standard by which others are evaluated. From the beginning, Sims focused on achieving total customer satisfaction by training the best people to ensure the company not only produces quality work but also has professional and friendly crews. If there are any issues, Sunik vows to make it right for customers. This high level of expertise and service explains why Sunik enjoys so much repeat business and word-of-mouth referrals. It also explains the growth and reputation of Sunik both in the industry and in the community. What started as a home-run business soon outgrew the basement and necessitated office space. The company expanded and moved twice more before finally settling into their new offices near CrossIron Mills. There, the staff of 12, including Sims’ sons Nicholas and Nathan and wife Sue, operate as the go-to company for sloped roofing as well as siding, soffits, fascia and eavestroughs in Calgary. Nick Sims is also working to ensure roofers have the training and education necessary to provide a quality service. 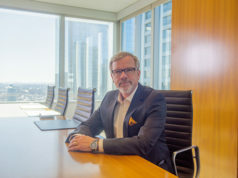 He was president of the Alberta Allied Roofing Association (AARA) for three years, he and McNichol each served six years on the Provincial Apprenticeship Committee, and he has been a director and later chairman of the board for the Better Business Bureau of Alberta. Whether behind a desk or on a roof, Sims is dedicated to making the industry better for employees and customers. His hard work has certainly paid off. In 2000, Sunik won the Torch Award for Ethics from the BBB and in 2009 was awarded the first Consumer Choice Award for excellence in roofing and has defended the title for 10 years running. Sims was also featured in the Leaders issue of Business in Calgary magazine in 2015 and Sunik won the Reader’s Choice Award for roofing in 2017 and 2018. Sunik has great rapport with clients while at the same time enjoying solid, long-term relationships with suppliers, some of which have been cultivated over decades. The company recommends Canadian products and supports innovative, quality products like Euroshield’s rubber shingles. This Calgary product is now used worldwide and is popular for its durability and green appeal. 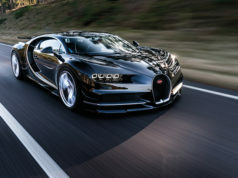 “It has long life, good looks, is made from over 70 per cent recycled rubber and it is eco-friendly. It keeps your house quiet from external noise and it stands up – the guarantee against hail is next to none,” Sims says. Sims partners with companies that share his dedication to quality and service to ensure Sunik always leaves customers happy. For the past 30 years and into the next 30, the company’s strong reputation, expertise and service will ensure that Sunik Roofing’s customers remain completely satisfied ones.